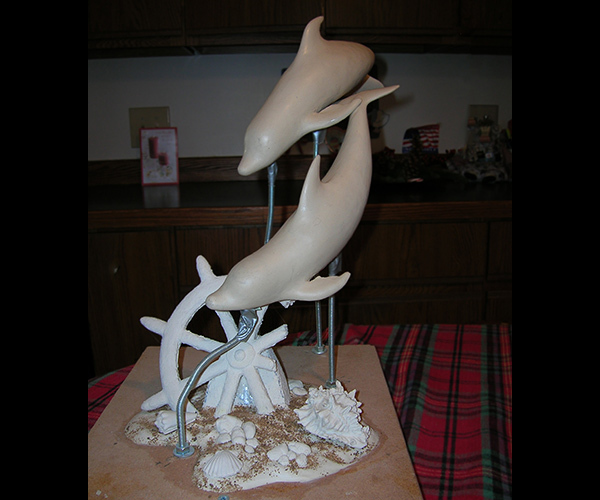 Realism solid bronze limited edition aquatic marine life sculptures done to exact detail and authenticity. 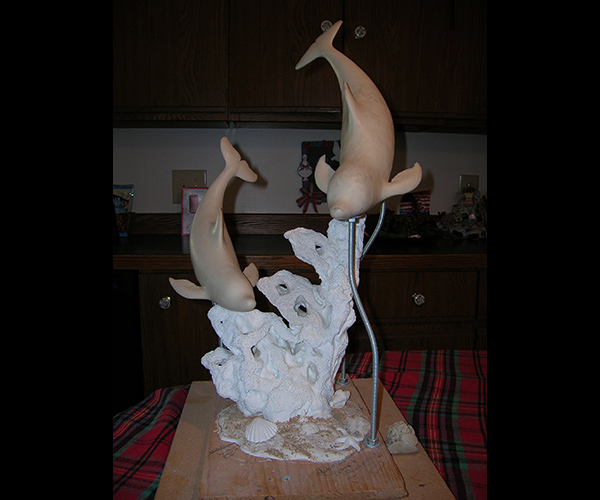 Some of the Marine life bronze sculptures are done in stylized form as well as representational life like bronzes. 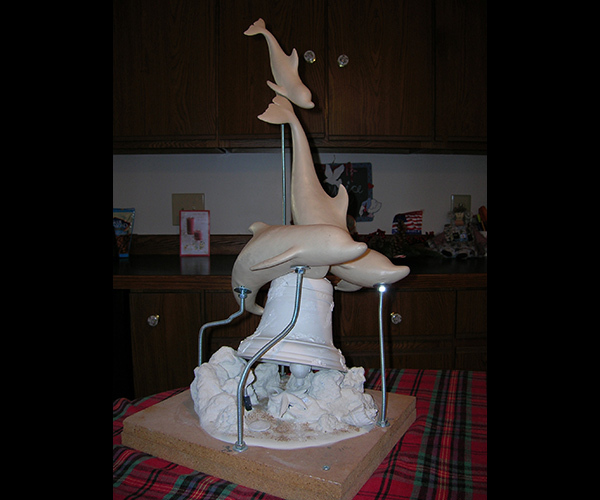 Any of the bronze sculptures shown can be pointed up to life size or monumental statues by commission from the sculptor. 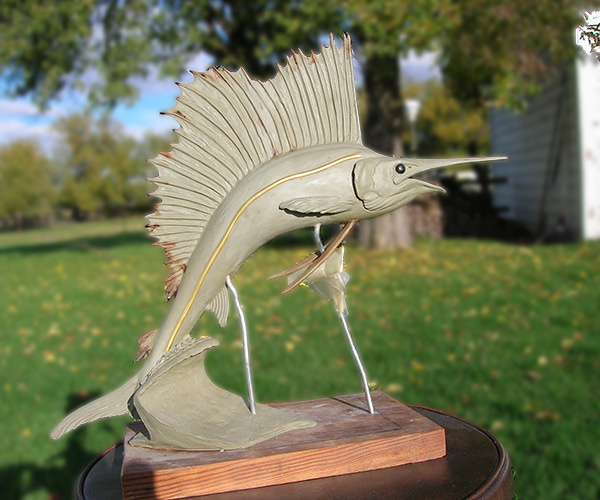 Sailfish sailing across the ocean blue marine life bronze sculpture. 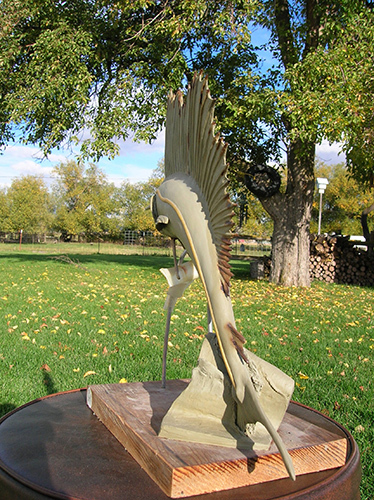 Back view of bronze sculpture Free Sailing. 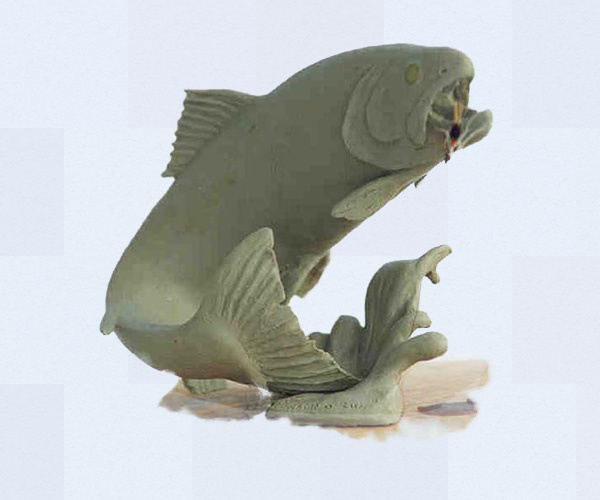 Marine life bronze sculpture – Largemouth Bass succumbs to temptation with regret. 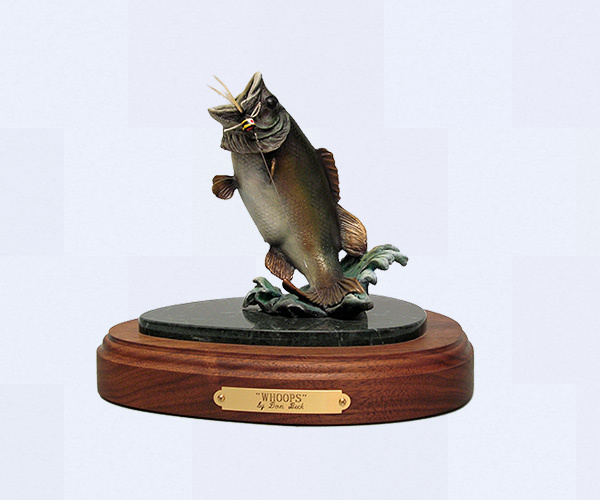 Each bronze sculpture or silver sculpture arrives with an authentic bass fly….a touch of realism adds excitement! 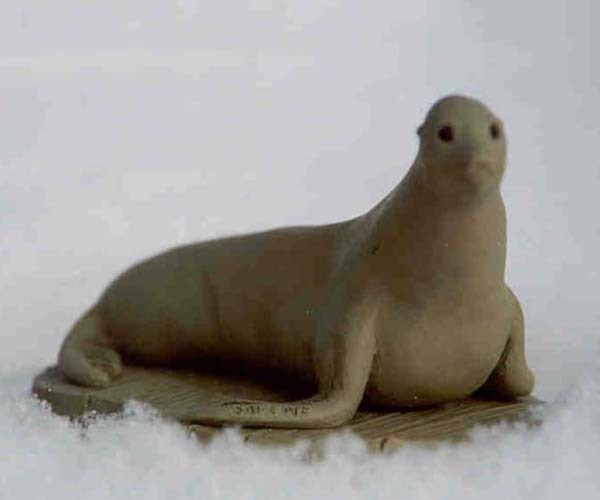 Sculpture of Harbor Seal on dock on the Southern California pacific coast. 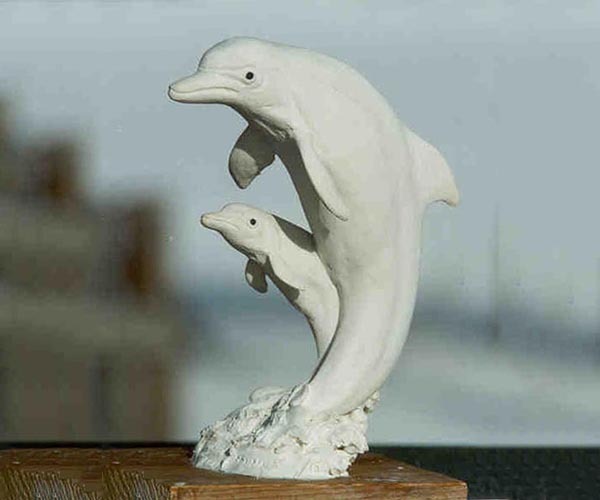 Sculpture of Mother dolphin and her young at play. Steelhead fishing in the Pacific Northwest. Chinook Salmon headed up river to spawning grounds in the Pacific Northwest. 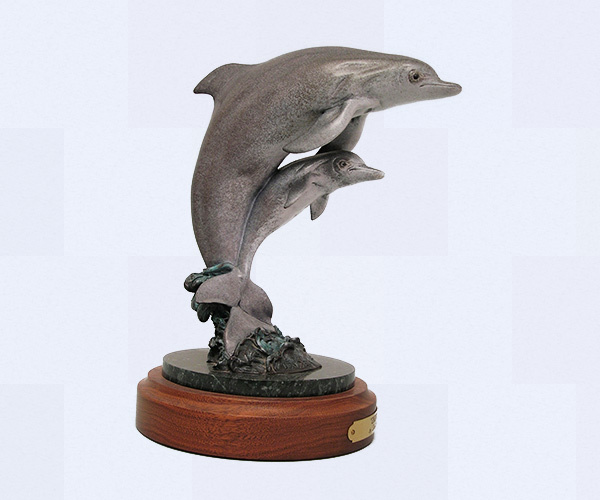 * Limited edition sculpture of 75 in bronze – 50 in silver. 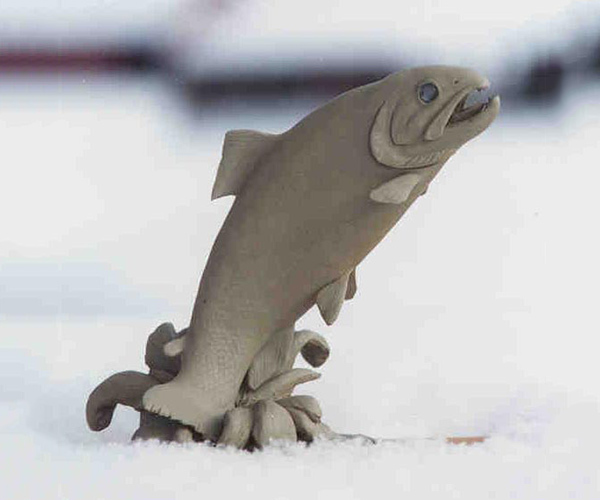 * Sculpture cast in a Limited edition of 75 in bronze – 50 in silver. 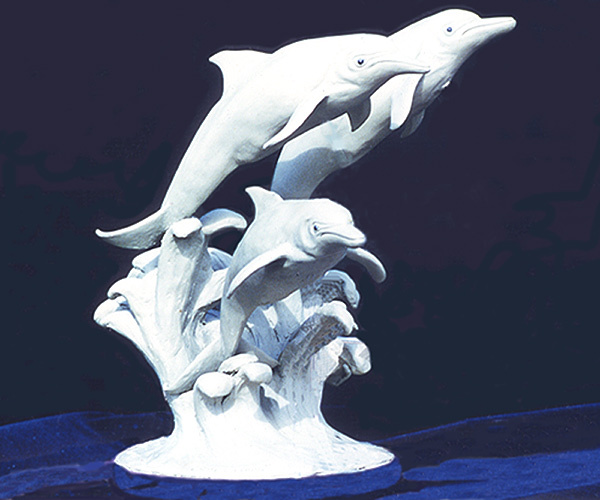 Marine life bronze sculpture of Adult Dolphin with her young exerting their natural energy doing what comes natural and enjoying the world they live in.